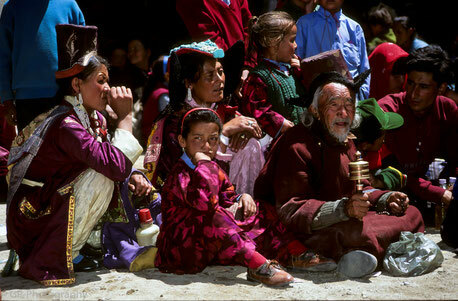 In summer 1994 we traveled for four weeks to Ladakh in northern India. 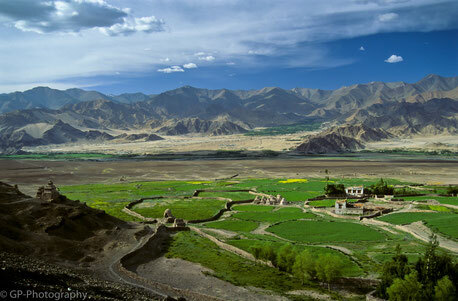 From Delhi we flew over the Trans Himalaya to Leh, the capital of this area dominated by Tibetan culture. We visited the famous monasteries of Alchi, Hemis, Likir, Phyang, Shey, Spituk, Stok and Thikse. Particularly impressive were the two temple festivals in Phyang and Karzok and the breathtaking scenery around Lake Tso Moriri. Unforgettable was the long and arduous trip on the curvy Manali highway. Rain, fog and many stuck trucks made the trip a real adventure.